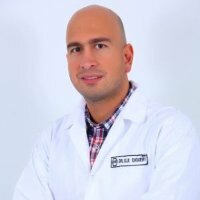 Dr.Elie, Pediatrician resuscitator at Hotel Dieu Hospital in France HDF, Master of Conferences and internal internship coordinator at the Faculty of Medicine USJ. Graduated in USJ Pediatrics and Pediatric Resuscitation versatile Neonatal and Infant Cardiac Faculties Claude Bernard Lyon 1 and 7. Paris French IUD Resuscitation and Paediatric Emergencies. Has several medical publications in the Lebanese and international journals about the protection of children, Reanimation and Paediatric Emergency medical and accidental. Member of the Academy Bronchiolitis and Protection Unit of Children in Lebanon.He has published many articles in General Practice one of which includes"Multiple Personality Disorder: Am I Physician or Son?"